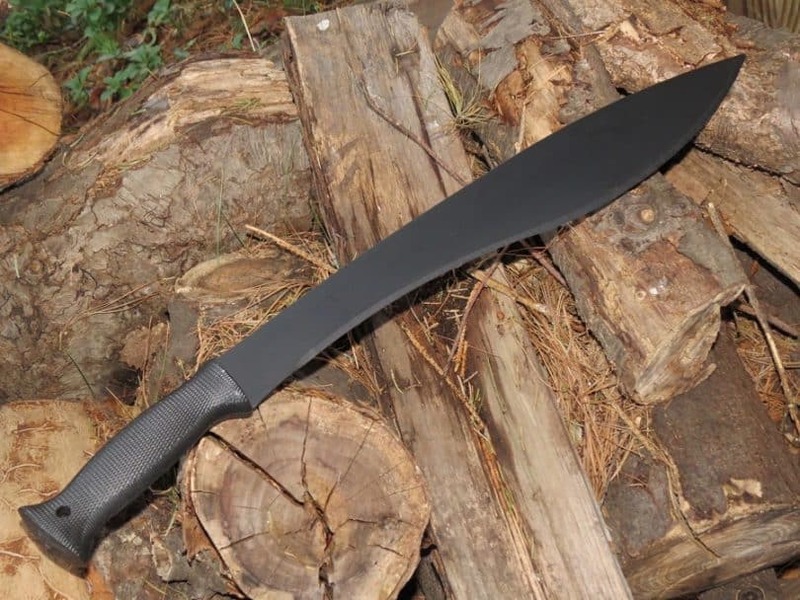 Kukri Gardening Machete: How Effective are They? 0vast tracks of untamed lands. You know how the thick underbrush can be intimidating if you don’t have the right tools. They just can’t seem to hold up to the harsh vegetation that you almost give up. A kukri gardening machete may be the right weapon to conquer the stubborn underbrush. But is a machete for gardening effective? Are they tools you can rely on to tame the overgrown bush? What are Kukri Gardening Machetes? These are versatile gardening tools that can act as a knife and an ax. They are among the most functional tools you can have in your shed. A kukri machete can strip the bark of trees, coppice trees, chop compost and clear the menacing brush. These tools come in varying shapes and sizes. The ideal one for tackling blush has a full belly close to the tip. It will have a curved tip for more efficiency and is thin to make it lighter. What makes them Effective Gardening Tools? The way a kukri looks like may bring a chuckle or two on those seeing them for the first time. It flaunts a curved blade which some of those in the know suggest it depicts cow horns. Remember kukris are native to Nepal, a community who are majority Hindu and regard cows as sacred. This curved blade is what proves efficient in dealing with the unwanted vegetation. The bend ensures the primary cutting surface is ahead of the handle level. This feature prevents a lot wrist bending for a stronger and more comfortable grip. A curved blade achieves more effective when striking and with reduced effort. If you are using a kukri gardening machete and your friend is using the traditional machete to clear vegetation, your friend will probably think you have more stamina – but we now all know the secret. But is it all there is? Well, the seemingly inward curve helps redistribute mass. Most of the mass is on the broad cutting edge, and that leads to effective forward cuts. Mass reduces as you move towards the handle making the swings better than those of the typical machete. Furthermore, a kukri machete’s center of gravity is near the tip and away from the grip. This makes overhand chops quite a breeze. The kukri is quite an old design – even older than the Nepalese variety. The Nepalese took up the model based on the fact that it could act as a sword, a knife and an ax – it was suited for their purposes, and it is for gardening. But more importantly, you can understand why the Gurkhas and the whole Nepalese community were in love with kukri machetes. As we have seen, these tools are designed in such a way that swings are efficient, and strikes go deep. You can imagine what that can do to your leg or finger. Just make sure to wear sturdy gardening footwear, long pants, and gloves. The tool should always be in front of you and always remember to keep your other hand off the way when working.